Has anything changed for women in India? On a two-hour drive to Alleppey or Alappuzha, hub of the backwaters of Kerala in India, I sparked a debate about women’s rights with our driver. 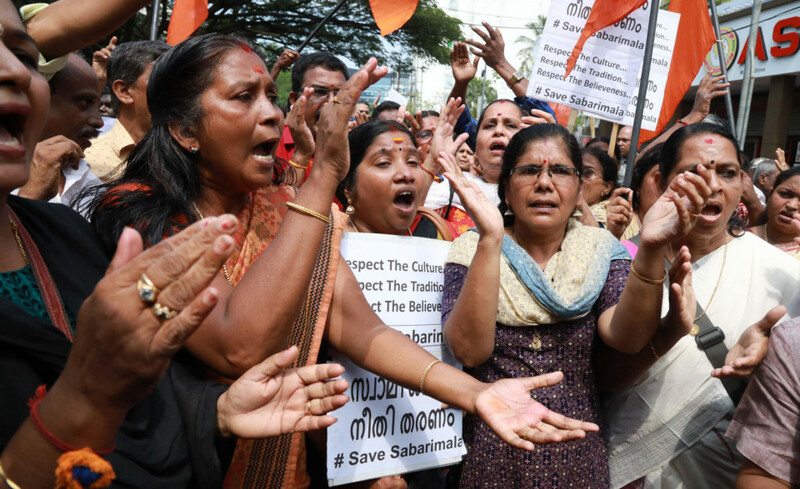 (The Indian Supreme Court has recently opened the doors to women to enter a temple in Kerala where women below the age of 50, basically women in their reproductive years were earlier not allowed, ruling that it was their constitutional right to pray wherever they wished). “[Younger] Women should not be allowed into Sabarimala,” said the driver, surprisingly. He tried to explain that it is an age-old tradition and that the Court ruling has hurt the sentiments of the people. My wife’s ancestral roots are in Kerala, though she has never lived in that state, and she is always proud of the fact the women in this southern state are more literate than others in the rest of the country and enjoy all their rights. A certain section of the Kerala society is matriarchal, unlike the rest of India, which is patriarchal, and where the male is the head of the household. It was in Kerala that I noticed that people still read newspapers. You never saw anybody read anything on public transport in either New Delhi, Bengaluru or Hyderabad, cities that I have traversed recently. On a ferry from Kochi (Cochin) to Ernakulam (the ticket cost Rs4 or about 20 fils), one man was reading a newspaper in the Malayalam script and a fellow passenger was also reading it, over his shoulder. To illustrate the point about women literacy, there was a news report recently where a 96-year old granny, Karthyayini Amma, passed the 4th Standard equivalency course of the Kerala Literacy Mission Scheme. She said she was motivated when her 60-year old daughter Ammini Amma, passed the 10th standard exams. (This talk about women’s rights in the cab reminded me of the time when I was working in Saudi Arabia where women were not allowed to drive. The ban was recently overturned, incidentally. But despite that women did not have many rights at that time, one curious thing was that women-only banks were sprouting throughout the kingdom and were flourishing). After a couple of months, I realised that women held the purse strings in the Saudi households and were much more entrepreneurial. “What about ‘sati’? It was a tradition and a law was passed banning it,” said my wife. “Wrong thing to say, Silva,” I told the driver. My wife is a feminist”. The driver tried vainly to backtrack. “The pilgrimage is hard and is tough for women,” he said. The lot has changed for women in India over the years since Independence; women now head huge corporations and the glass ceiling has been shattered, at least in the urban societies. The same cannot be said about the rural areas. Religion also plays a large part in the lives of the people and politicians of various hues exploit it, instead of finding ways to help women live a life of their own. Mahmood Saberi is a storyteller and blogger based in Bengaluru, India. Twitter: @mahmood_saberi.